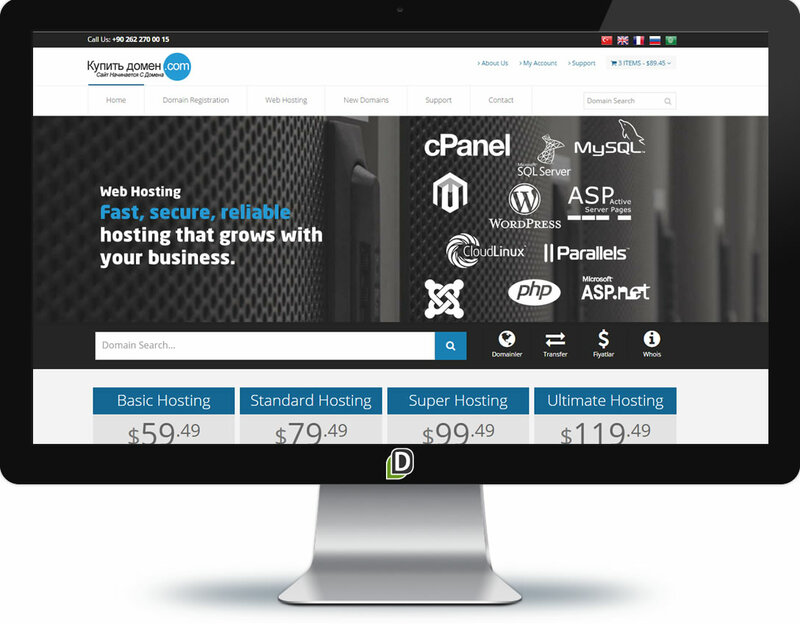 The Best Domain Name Registration & Web Hosting Managemet Web Site With its customized design and infrastructure Super Domain Hosting sales site is prepared with a professionalism to increase your sales, improve your service quality. With its professional web master designers team and software developers Domain Name Api produces specialized solutions for you. The template domain hosting web site for you can easily manage and sell your domains and hosting. You can host in your servers your web site in order to operate in integration with Domain Name Api executive panel.